The Justice League is making way for Batman. According to a story today at The Hollywood Reporter, director Zack Snyder‘s Justice League sequel, originally planned for 2019, has been delayed to make room for Ben Affleck‘s solo Batman movie (tentatively titled The Batman). Snyder’s first Justice League film is still on track for next fall, but the trade reveals that he’ll now follow the superhero ensemble with his long-gestating original project The Last Photograph. The Last Photograph, first announced nearly a decade ago, revolves around a photograph that becomes the catalyst for a journey two men undertake through war-torn Afghanistan. Kurt Johnstad, who previously worked with Snyder on both 300 films, is providing the screenplay and the current plan is to get The Last Photograph in front of cameras sometime next year. Affleck is directing The Batman and is also writing the screenplay for the DC Comics adaptation with Geoff Johns. It is believed that the storyline will see Affleck’s caped crusader facing off against the infamous mercenary Deathstroke, played by Magic Mike star Joe Manganiello. Although it hasn’t been completely confirmed by Warner Bros., it sounds like The Batman will take Justice League 2‘s June 14, 2019 release date. That’s an appropriate date for the Dark Knight as Batman celebrates his 80th anniversary in 2019. The character debuted in Detective Comics #27, which hit stands in May of 1939. 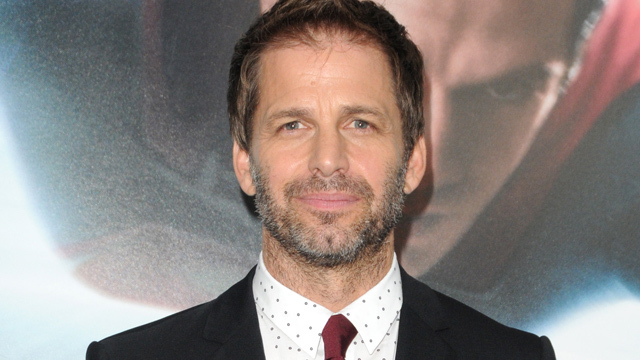 Before the solo Batman movie, however, Affleck can seen in the cape and cowl as part of the ensemble cast of Snyder’s first Justice League movie. Affleck rejoins Henry Cavill and Gal Gadot as Superman and Wonder Woman with Jason Mamoa returning as Aquaman, Ray Fisher as Cyborg, and Ezra Miller as The Flash. Amber Heard is also set to debut in Justice League before moving to the solo Aquaman movie in 2018. Willem Dafoe is slated to appear as Atlantean Vulko, with J.K. Simmons playing Commissioner Gordon and Ciarán Hinds starring as the film’s big bad, Steppenwolf. Would you rather see a solo Batman movie or a second Justice League hit the big screen in 2019? Let us know in the comments below!